Builders Risk Insurance is something that you will inevitably have to contemplate if you are going to be constructing a new property — the policy will protect the developing structure and on-site building materials from damage and theft. When you apply for Builders Risk Insurance, however, you will need to satisfy the condition for “reasonable security”; for many, this can be confusing, in this article we try and clear up what exactly reasonable security is and the range of options available. What does Reasonable Security mean? When you take out a Builders Risk Insurance policy, you will need to prove to the insurance company that your tools and materials are sufficiently protected; the insurance company will not give out a policy if you’re going to leave everything out in the rain unprotected, or if you plan on constructing in a city with high crime rates but haven’t ensured a proper level of security against theft. What counts as Reasonable Security? There is, unfortunately, no simple answer to this question as the location, type of project, and insurer itself will determine what is reasonable. However, that being said there are a few variables you should be aware before approaching your insurance company that will help you make an educated guess. Logically if your project is a small renovation in the quiet countryside, then your level of reasonable security will be lower than if your project is located in a major city with high levels of crime. Firstly, at a minimum there will need to be some way of securing the site; this could mean a chain link fence, or temporary wooden barricades. Secondly, you will need somewhere onsite where materials and tools can be locked up securely. This might be as simple as a temporary structure like a shed, a shipping container or even a van. You can be certain that if materials are stolen that were left out in the open and unprotected the insurance company will be unlikely to cover the loss. 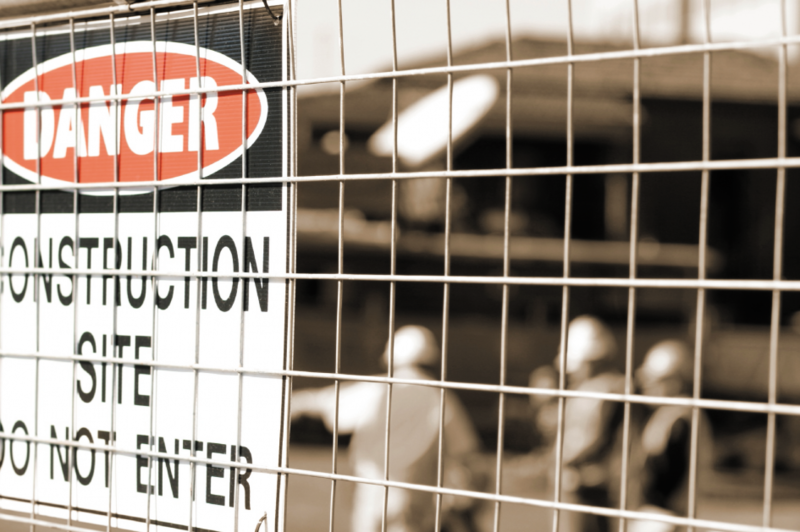 If your project is high-end; for instance, restoration work or large complexes, then you may need to think bigger when it comes to your on-site security. 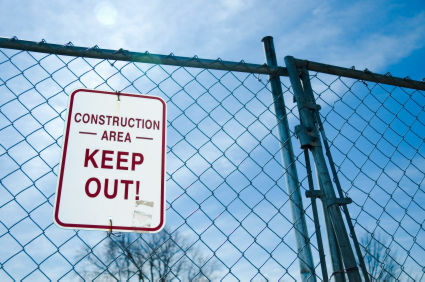 Typically in projects like these, there is only a small barrier between the project site and the outside world, and in some cases, this may not be enough to satisfy an insurance company of your on-site security. Luckily, there are a range of specialist security products and equipment that will help raise security to acceptable levels. 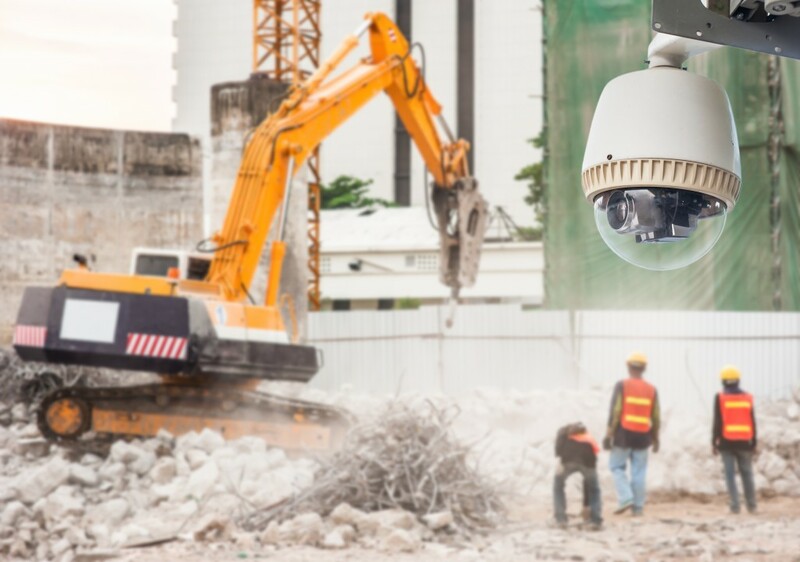 Products like mobile surveillance units, lighting and thermal cameras, radar, alarms, virtual security guards and even security drones are available to help you keep your project safe and secure at all times. Ultimately, what your project will require will be determined by you, your insurer and the details of the project itself. If you have already spoken to your insurer and would like to discuss what options will best help you best manage and protect your project, or if you would simply like to learn more about how ECAMSECURE can help you – please contact us today for a free quote. We’d love to hear from you.